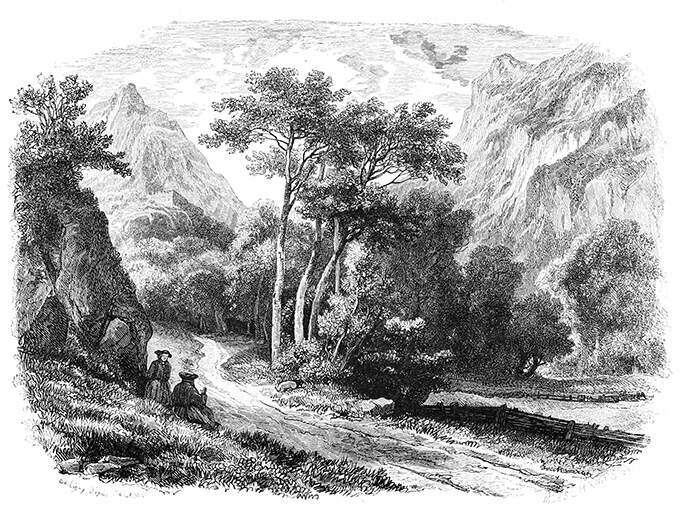 View of the Aosta valley, probably in the Verrès area, with two travelers resting on the side of a road, a clump of tree in the middle of the picture, and tall mountains in the background. 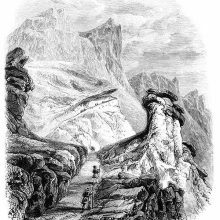 Drawn on wood by Charles-François Daubigny, after Alexandre Calame. The caption reads in the original French: Verrèze, val d’Aoste.